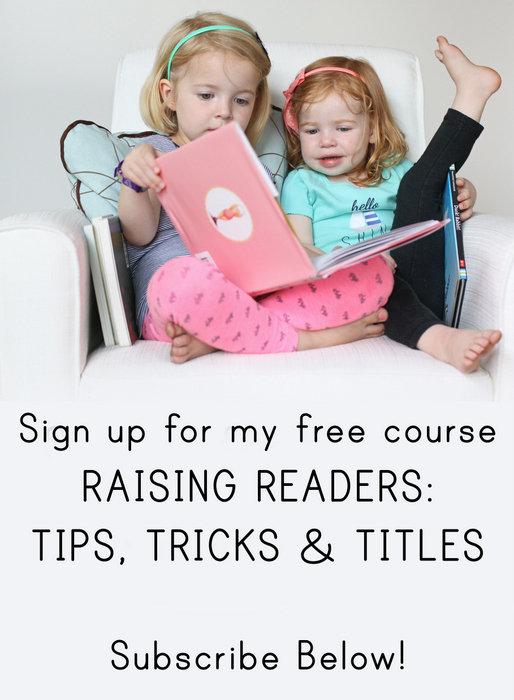 I’m so excited about today’s post, since it’s something I’ve never done before in my 12.5 years of blogging about books. A cover reveal (cue all the party emojis). You probably already know Camille Andros. 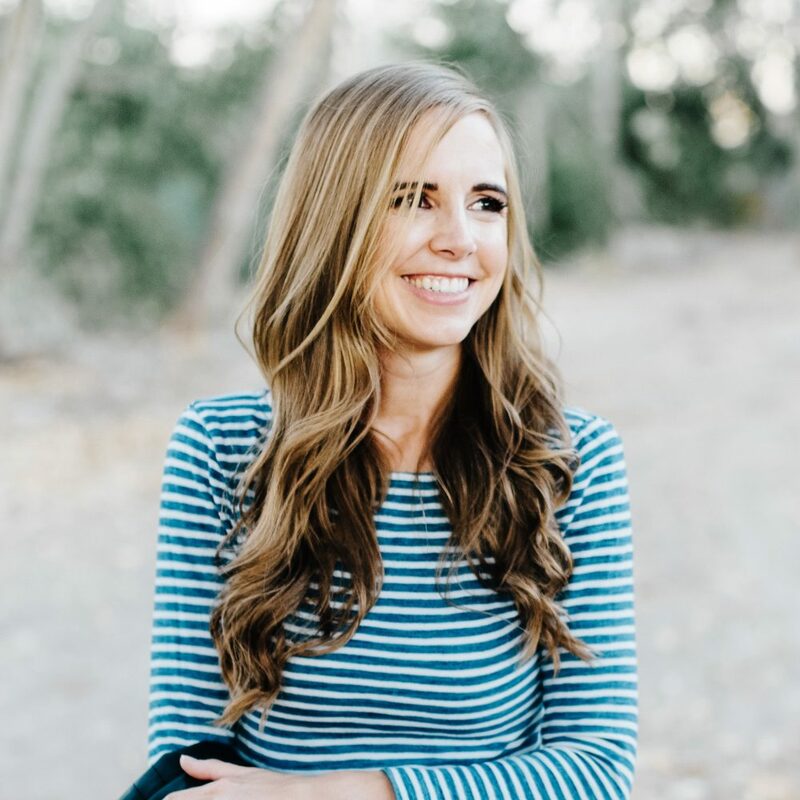 She’s written three picture books in the last few years, all of which have been huge hits in our family and I’ve shared them on Instagram and here on Everyday Reading. Two of them are about Charlotte the Scientist, a rabbit who loves science (the second one, Charlotte the Scientist Finds a Cure, just came out two weeks ago!). I love these fun, smart picture books with a STEM focus. The other book is The Dress and the Girl, which is a spectacularly beautiful story about a little girl who immigrates from the Greek island where she was born and, during the journey, loses her favorite dress. But, years later, that dress makes its way back into her life. I love Camille for her great writing, but also because she’s incredibly warm and friendly (Ella and I went to see her when her book tour came to our library). I also love seeing someone who is a very hands-on parent also pursue a successful career (she has six young children). Also, she came to my To All the Boys I’ve Loved Before viewing party, so obviously we are kindred spirits. So when she asked me if I wanted to host the exclusive reveal of the cover of her newest book (even before AMAZON has it), there was no question the answer was YES. 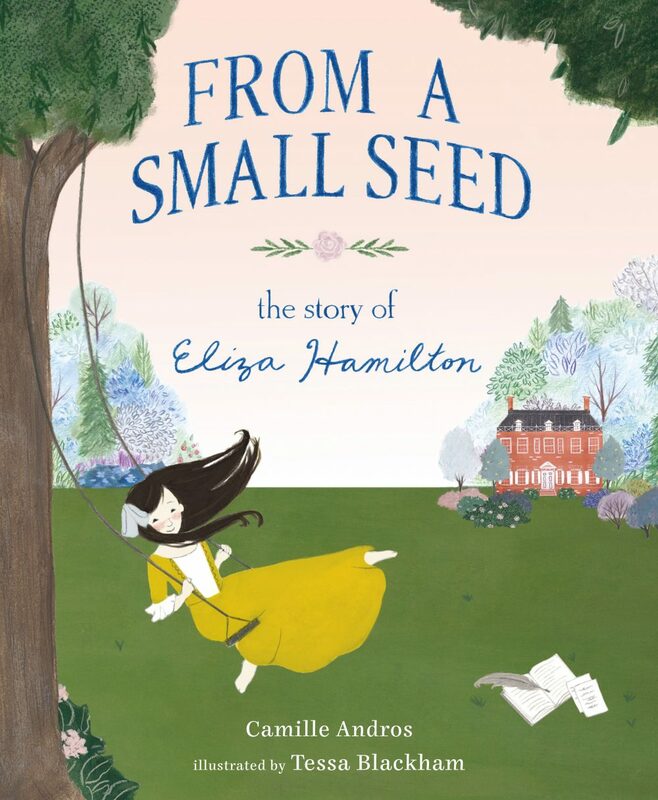 This new book is called From a Small Seed ―The Story of Eliza Hamilton and it comes out in December. It’s a picture book biography about Eliza Hamilton who was the director of the first private orphanage in New York City and wife to founding father Alexander Hamilton. This book begins in her childhood where she felt early on a strong desire to help people who truly needed help. And as her sphere of influence grew from her family home to the national stage as an adult, she used it to advocate for fairness, freedom and faith including after the death of her husband, which helped to contribute to his lasting legacy. And. . . here’s the cover, illustrated by Tessa Blackham (who graduated from the illustration program at BYU, which is where I did my undergrad degree, so I feel even more of a connection with this book). I cannot wait for it to come out (it’s available for pre-order now). And two more fun things – first, Camille and I are both in Palm Springs this week at a conference, so we’ll be doing an interview on Instagram Stories this afternoon and two, we have three advance copies of From a Small Seed to giveaway, so make sure you stay tuned on Instagram for both of those things! And if you need to make a paper chain to count down until December 10th, I’m right there with you. GAH! Here for it. I CRY every time I read the Dress and the Girl (I am a sexist and make dresses for my 3 girls), and this story looks even more heartwarming. Um that is supposed to say SEWIST, not sexist. Definitely not a sexist. LOL! That is beautiful! I can’t wait to read this.